Situated in North East Victoria; Tallangatta is central to the High Country as well as the boarder twin cities of Wodonga and Albury which is an easy 30 minute commute via a beautiful scenic drive around Lake Hume. Georgie’s Cottage is a five minute easy walk to the town centre. It has a west facing veranda off the sun room with scenic water views over Lake Hume where you can watch the sunset with a glass of your favourite beverage. Tallangatta is a popular area for fishing, golfing, walking and cycling. The Wodonga to Cudgewa High Country Rail Trail is a popular ride for both novice and experienced riders with mountain and hybrid bikes. 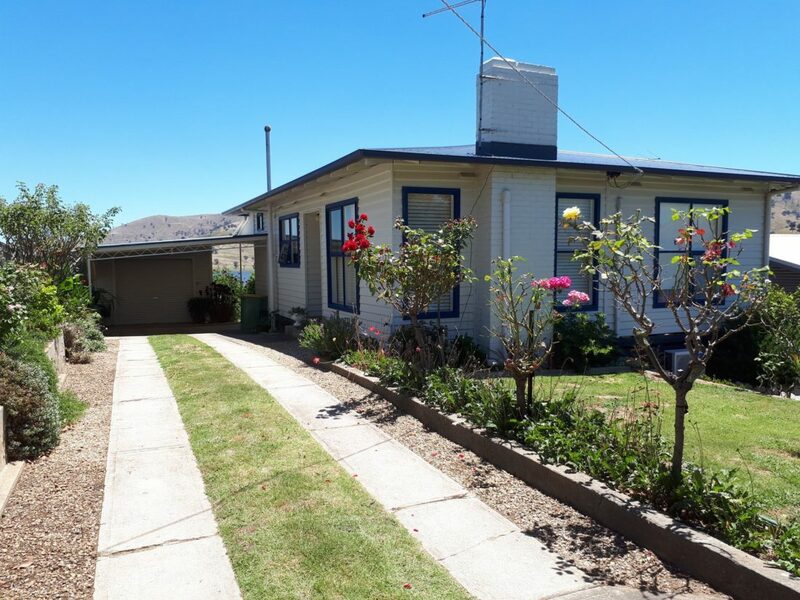 Georgie’s Cottage has two bedrooms with a queen and two single beds; there is an option of using a queen fold out bed setter in the lounge room if needed. You have a fully equipped all electric kitchen and fridge freezer, one bathroom and a modern laundry. There is air conditioning in the open plan lounge/kitchen area, as well as the main bedroom. As you drive onto the property you are greeted with a fully established garden and a carport. Two bedrooms with a queen and two single beds. There is an option of using a queen fold out bed setter in the lounge room if needed.